Things that interest me and may interest you too! Following a record breaking 2014 for solar generation, I was very pleased with another good year’s yield from the 2kw system. I’ve added the chart below to show the year’s performance over the last twelve months. 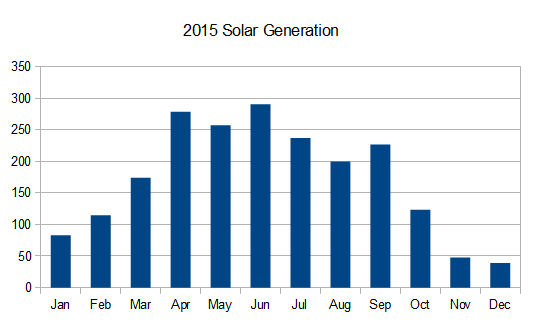 2015 gave me the second highest so far from the Sanyo panelled solar system. This result boosted by a good spring and a record breaking September! Hope I’ve Made the Bright Decision! Excel – Paste just the subtotal values? Let’s Set the Solar Scene! The Onfocus Project © 2019. All Rights Reserved.